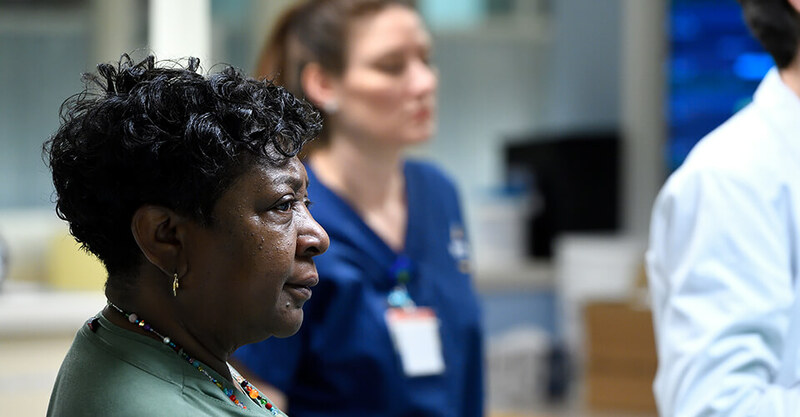 When you or a loved one faces painful burns and associated wounds, getting the best care available is crucial for both recovery and peace of mind. 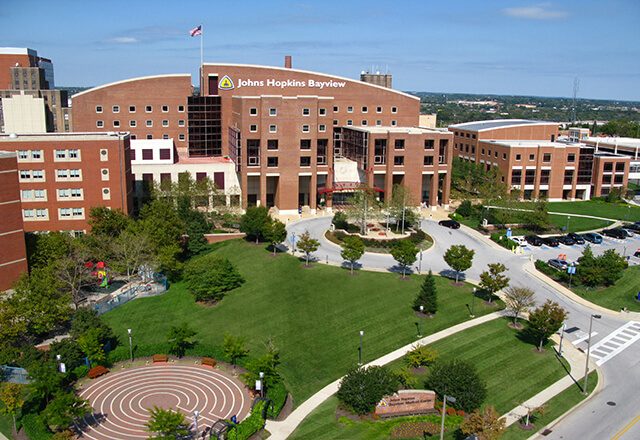 Accredited and verified by the American Burn Association, the adult burn unit at Johns Hopkins Bayview treats burn patients 15 years of age and over. Its highly specialized team consists of experts in plastic and reconstructive surgery, physical and occupational therapy, nursing, psychology, nutrition, social work and case management. 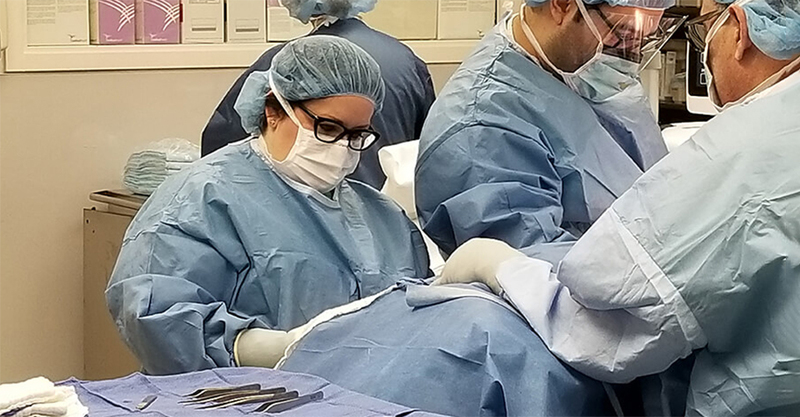 ​Ellie Meeder, PA-C, a member of the burn team, utilizes technology like Laser Doppler Imaging to diagnose and treat burns and complex wounds. Burn Center staff at morning rounds. 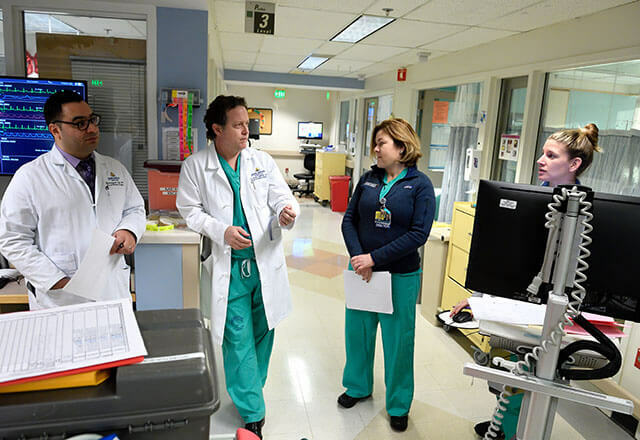 A multidisciplinary team rounds on all Burn Center patients daily to discuss the patient’s plan of care. Dr. Hultman with Burn Center fellows. 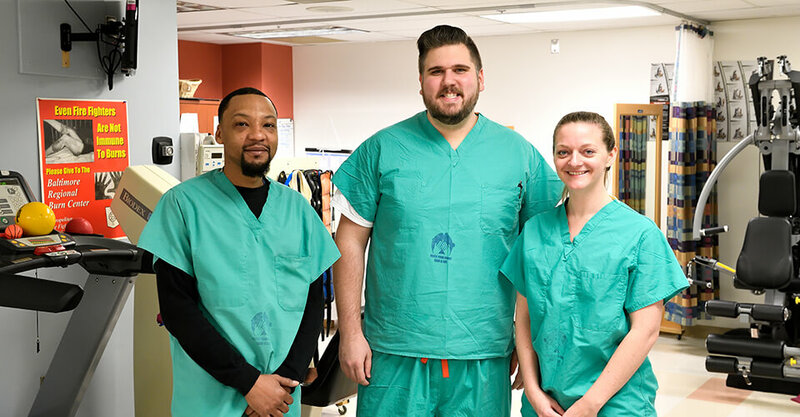 The Burn Center team includes attending physicians, as well as burn fellows from the Johns Hopkins University School of Medicine. Burn Center surgeons perform necessary procedures during a patient’s admission including early excision and grafting. Reconstructive surgery is also offered to patients. The Burn Center research team. The Burn Center is engaged in a variety of research ranging from quality improvement to clinical trials. At the forefront of all research is the goal to improve patient safety and outcomes. 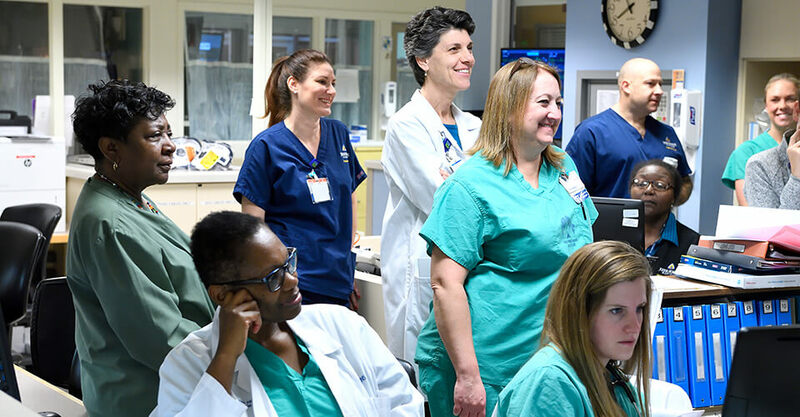 Burn ICU nurses are dual certified in advanced cardiac life support (ACLS) and advanced burn life support (ABLS), allowing them to care for critically ill patients and their wounds. 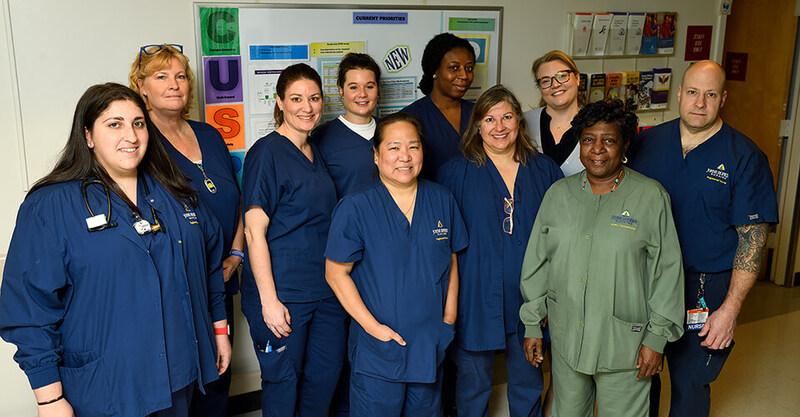 All Burn Center staff receive specialized wound training to provide high quality wound care to burn patients. Nurse Educators provide education to nursing staff to ensure treatments are in line with the most current best practices. ​Physical and occupational therapists help burn survivors regain optimal motion, strength and function. Burn Center nurse listening to morning rounds. ​The Burn Center uses a unique multidisciplinary approach, which combines the latest techniques in burn and wound care, psychological and rehabilitation services, and plastic reconstructive surgery. 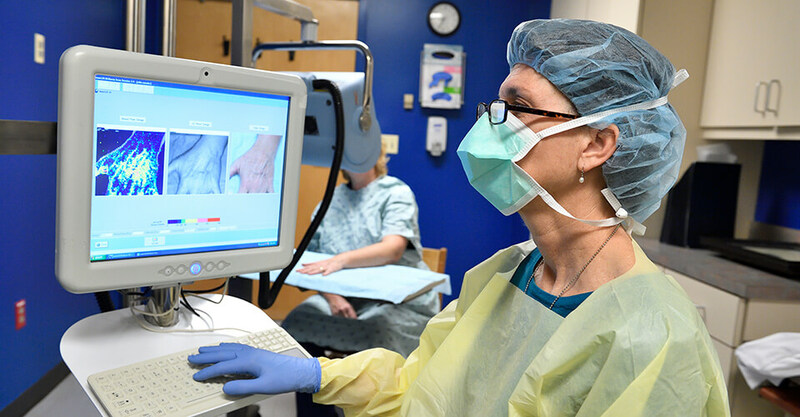 Laser Doppler Imaging ​Ellie Meeder, PA-C, a member of the burn team, utilizes technology like Laser Doppler Imaging to diagnose and treat burns and complex wounds. Burn Center staff at morning rounds. 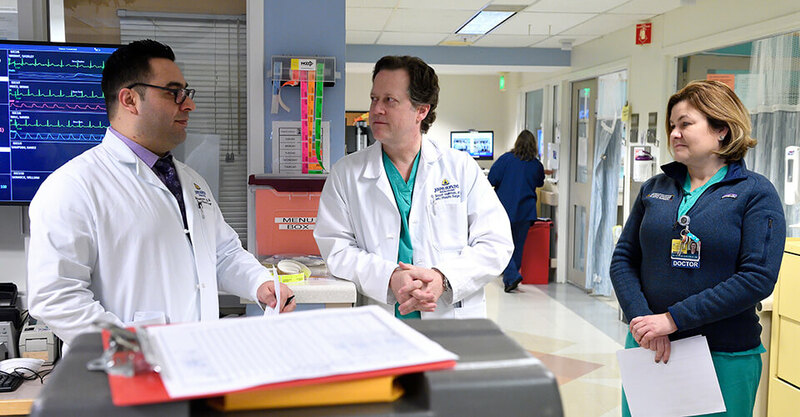 A multidisciplinary team rounds on all Burn Center patients daily to discuss the patient’s plan of care. Dr. Hultman with Burn Center fellows. 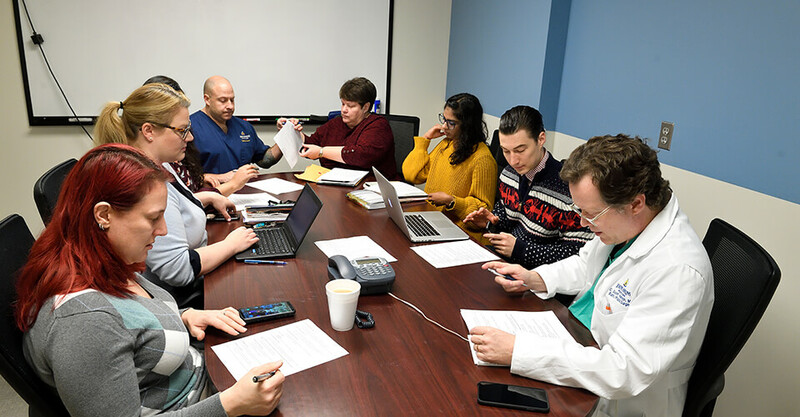 The Burn Center team includes attending physicians, as well as burn fellows from the Johns Hopkins University School of Medicine. Dr. Caffrey in surgery. 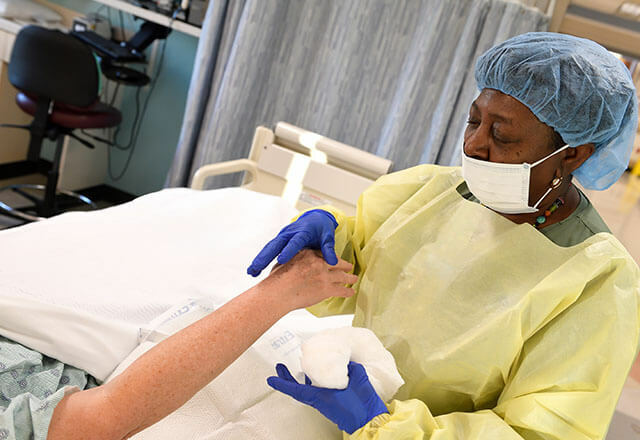 Burn Center surgeons perform necessary procedures during a patient’s admission including early excision and grafting. Reconstructive surgery is also offered to patients. The Burn Center research team. The Burn Center is engaged in a variety of research ranging from quality improvement to clinical trials. At the forefront of all research is the goal to improve patient safety and outcomes. Burn Center rehabilitation team. ​Physical and occupational therapists help burn survivors regain optimal motion, strength and function. Burn Center nurse listening to morning rounds. ​The Burn Center uses a unique multidisciplinary approach, which combines the latest techniques in burn and wound care, psychological and rehabilitation services, and plastic reconstructive surgery. 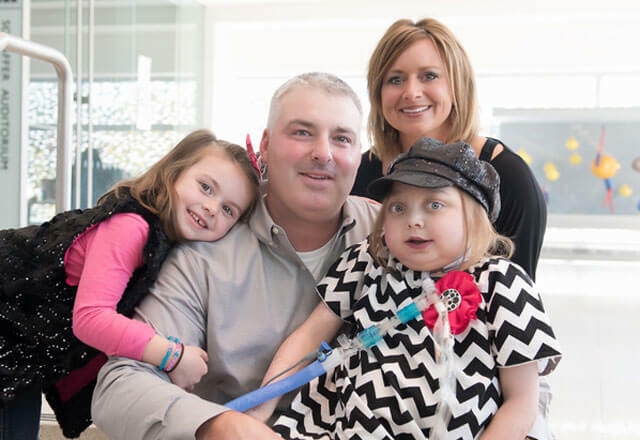 The Adult Burn Center at Johns Hopkins Bayview Medical Center kicked off Burn Awareness Week earlier this month by inviting a much-loved former patient, Tommy, to return to the unit for a special visit. Tommy helped the BICU initiate a new celebration on the unit: a bell-ringing that signals the end of hospitalization. 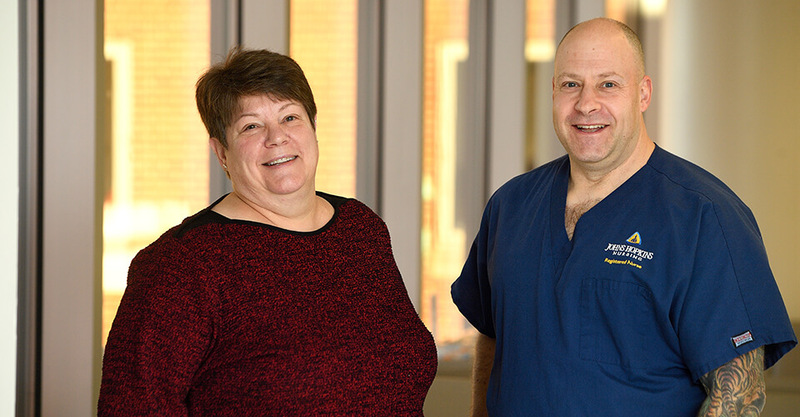 Specialists at the Pediatric Trauma and Burn program at the Johns Hopkins Children’s Center provide comprehensive care for all children under the age of 15 in the State of Maryland and surrounding communities, and treat all types of burns.